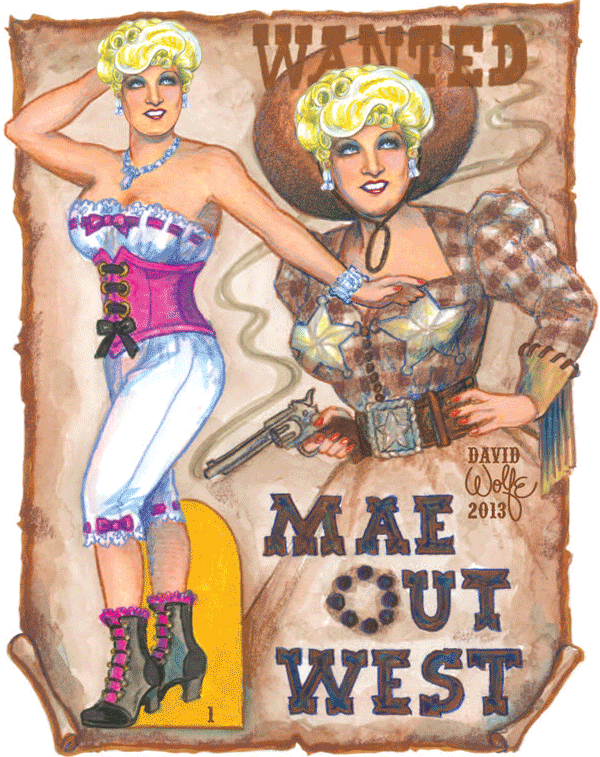 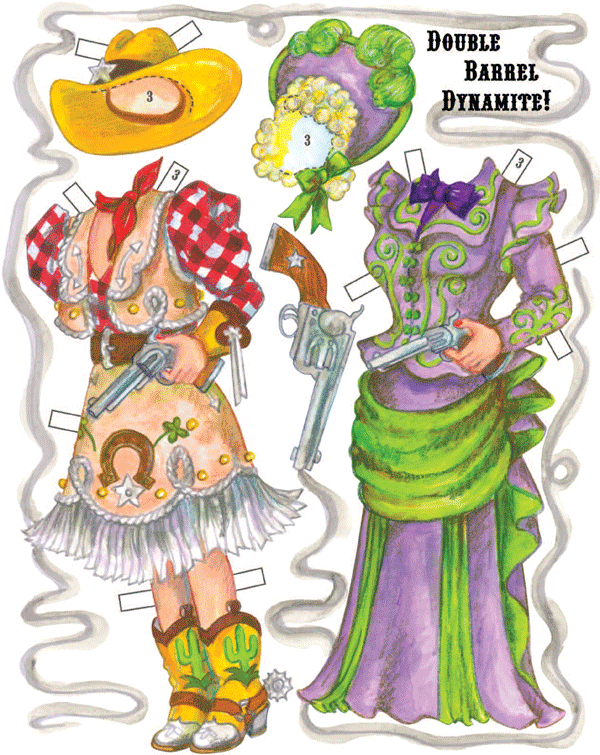 The theme of the 2013 Convention in Los Angeles was “Way Out West!” So when I was asked to do a souvenir book, I wanted it to be fun and a pun, “Mae Out West!” sprang into my mind. 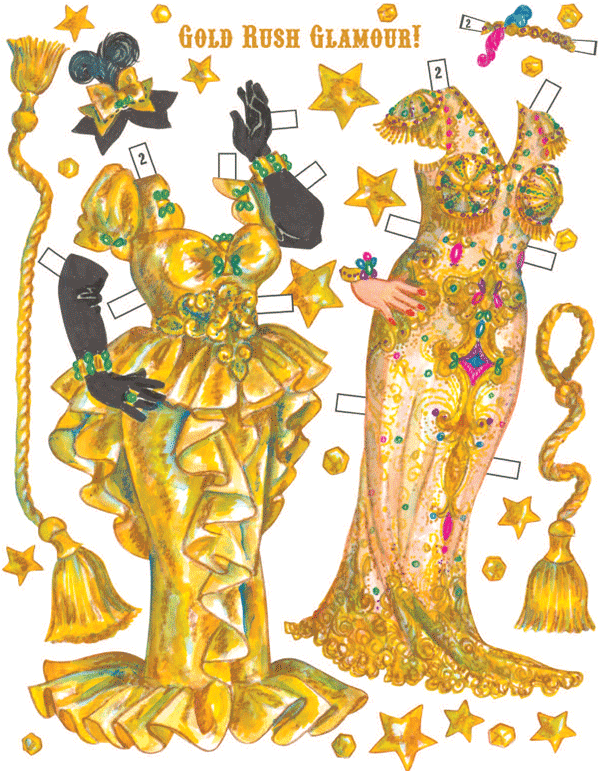 I have always thought Mae West was almost like a living cartoon and I had so much fun painting the dolls, exaggerating Mae’s already-voluptuous charms. 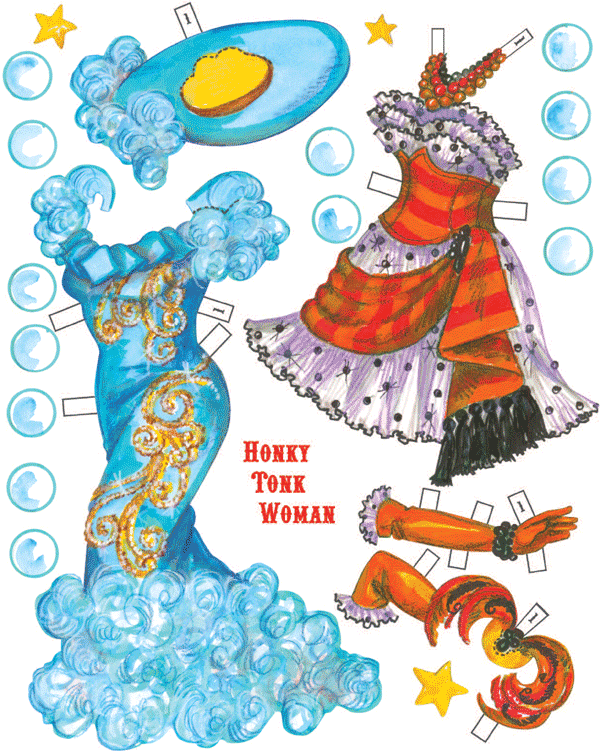 Four pages of clothes for the trio of dolls were divided between movie costumes and fashions I designed myself.